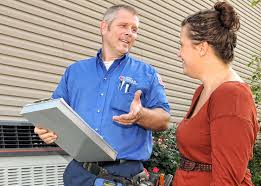 Do You Ned Home Heating Repair? Your home heating system is a necessity for ensuring that your home is comfortable. A great home heating repair service can help you get many parts of your heating system fixed up to where it will feel more comfortable and easier to handle. Sometimes the humidifier unit within a heater may not be working as well as it should. The humidifier is responsible for adjusting the moisture contents in your home and can work with the heater to create a comfortable room that is moist during the winter season and is a refuge from the arid conditions outside. 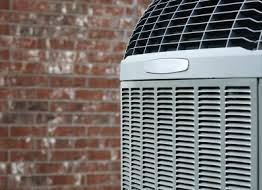 The home heating repair process may entail a look at the humidifier unit in an overall setup. This might have to be restored or at least topped off with some added fluid depending on the issue. Do You Ned a New Battery? The battery in a heater might be the culprit in some cases. A battery can wear out over time and cause the entire heater to stop working. A plan to fix the heater can help by getting the battery replaced with a new one that will be fully charged and should not have any rust or other materials on it that can keep the power on it from flowing properly. The battery must still be fully attached to the unit in order for it to work as well as possible. You may also have to reset the program on your heater to make it work. Filters can tear up at times and can make it harder for your surface to stay comfortable. You will need to get your filter replaced on a regular basis to ensure that nothing wrong can come about when trying to get your home to feel comfortable. Good connections are needed to ensure that your heater can link up to a good electric system with ease. A great electrical connection feature can help you out with ensuring that the heater you have will actually work. You must make sure your connection is secure without any problems. Drain lines must also be checked on your heater. A good heater can drain gallons of water each day and can become clogged with sediment and mold among other items. The furnace can stop working if there is far too much water in the way. However, you can use a repair service to help you clean out and possibly replace your drain lines so they will not be backed up. The lines must also be checked to see if they are leaking. Leaks might cause some of these lines to wear out all that quickly while also making it easier for rust and corrosion to develop on your heater in the worst possible cases. The process of home heating repair will help you to ensure that your setup is carefully controlled and that you will ensure that your home is heated properly and kept as comfortable as possible. Be sure to get your heater prepared the right way so it can stay functional. This entry was posted in Heating Services and tagged air conditioner repair dallas, air conditioning dallas tx by Whit Kinser. Bookmark the permalink.